More and more people are opting to go on holiday late in the season these days. September and October are the perfect time for a trip to Southern Europe if you want to avoid the crowds, scorching sun and save a few pennies. 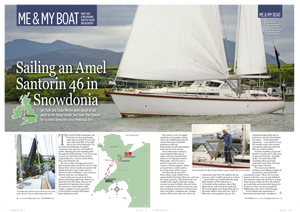 The southern tips of Europe are a great option as they tend to have a mild climate and still be warm enough for a spot of sailing, water sports or simply lounging on the beach. Sicily in Italy is the ultimate destination for an early autumn trip. With high temperature reaching 26 degrees and not dropping much below 16, October on the island can still feel like summer. 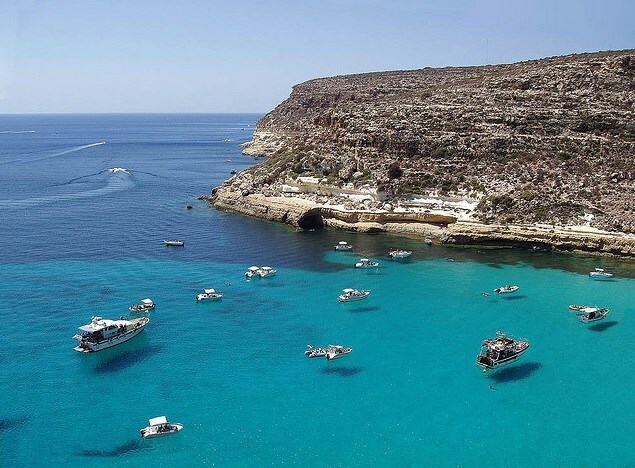 And even if you get the odd cold or wet day, Sicily is so rich in culture, a sightseeing trip to one of its many fabulous locations won’t make you miss the beach. With its Roman, Grecian, Phoenician, Arab, Norman, Carthaginian and Byzantine influences, Sicily truly is a stunning melting pot of ancient and modern cultures, which have informed its art, architecture and, of course, scrumptious cuisine. Easyjet and Ryanair fly to Palermo and Catania from the UK for just over £100, depending on day of departure, and the flight only takes three hours. Both cities are well worth exploring, before travelling around. With its churches, palazzi and opera houses, port and beaches, you won’t be disappointed with the Sicilian capital city. 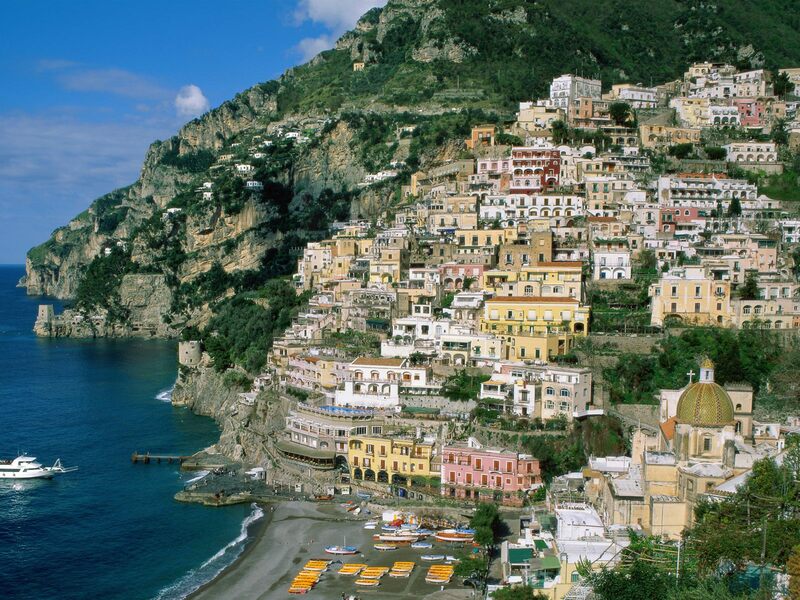 It’s easy to travel from Palermo to other towns and cities such as the stunning Taormina, Syracuse or Cefalu. You can do so by train (http://www.trenitalia.com) or by coach (http://www.interbus.it/), both affordable options. From Palermo you can also reach the beautiful Aeolian Islands by ferry (http://www.usticalines.it). If you’d like to charter a yacht, you’ll be spoilt for choice. Whether you choose an Italian company such as Sealand (http://www.sealand.it) or the British Sunsail (http://www.sunsail.co.uk/yacht-charter/destinations/mediterranean/italy/palermo) you can be sure you’ll have the experience of a lifetime. Founded in 8 BC, Catania is the second biggest city in Sicily, after Palermo, with which it shares its Roman, Grecian and Norman culture. 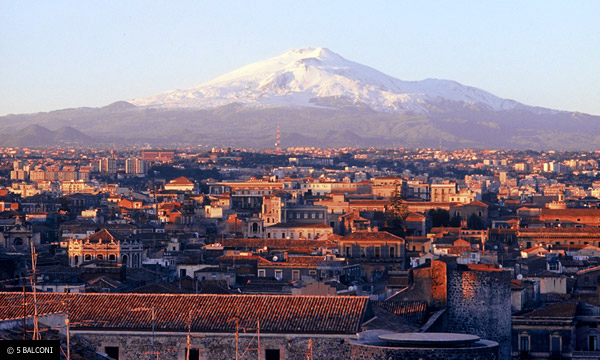 Catania is lodged on the eastern coast of Sicily, sandwiched between Messina and Syracuse, and it’s the ideal base if you want to visit the neighbouring Mount Etna, the tallest active volcano in Europe. The city was part of Magna Grecia, and this can be seen all over: from the amphitheatre to the Acropolis of Montevergine. If beaches and deep blue sea are more your thing, you are in luck as Catania offers some beautiful locations and temperatures in October can reach up to 26 degrees, making it ideal for a late sunny holiday. Just like Palermo, Catania is a great starting point to visit the rest of the island, and ideal if you are heading to Lipari, Stromboli, Alicudi or Filicudi. Just off the northern coast of Sicily are the stunning Aeolian Islands, a UNESCO World Heritage Site. The tiny inhabited isles are Lipari, Stromboli and Vulcano both with active volcanos, Salina, Alicudi, Filicudi, Panarea and Basiluzzo. Lipari is the biggest one and offers more activities and nightlife, but all of them are naturally breathtaking, with blue seas, beautiful beaches and plenty of sailing and water sports to keep you busy. In Stromboli and Vulcano you can climb up the volcanos too for the experience of a lifetime. The Islands are easily accessible by ferry run by Siremar (http://www.siremar.it/en) and Ustica Lines (http://www.usticalines.it) from Milazzo, Naples and Reggio Calabria. 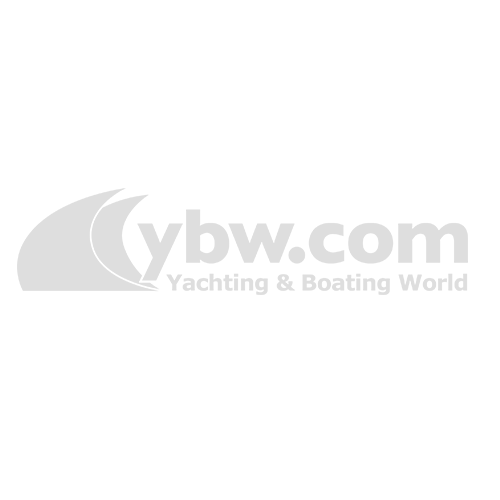 The nearest airports are Catania and Palermo. Sunsicily (http://www.sunsicily.com) specialises in chartering Beneteau yachts in the Aeolian Islands, a superb way of visiting them all. Perched on the hill of Mount Tauro, the breathtaking town of Taormina overlooks two bays below, surrounded by azure sea and sweeping views. A popular destination for the well-heeled, Taormina has been a popular tourist destination for centuries thanks to its mix of stunning natural beauty, ancient ruins, culture, lively nightlife, unbeatable cuisine, fabulous city centre with its desinger shops, beautiful views of Mount Etna, idyllic beaches and proximity to cities and old towns. Only an hour away from Catania airport, which is served by Easyjet, Alitalia, BA and Ryanair, Taormina is best enjoyed out of season, in spring or autumn, when the crowds have left, but the spirit of the place is still alive and the temperatures are still warm, but bearable at around 24 degrees in October. Taormina offers a variety of water sports: from sailing to windsurfing, scuba diving, snorkelling and canoeing – even in winter! As with everywhere else in Sicily (and Italy really! ), if you are a bit of a gourmand, this town will not disappoint. 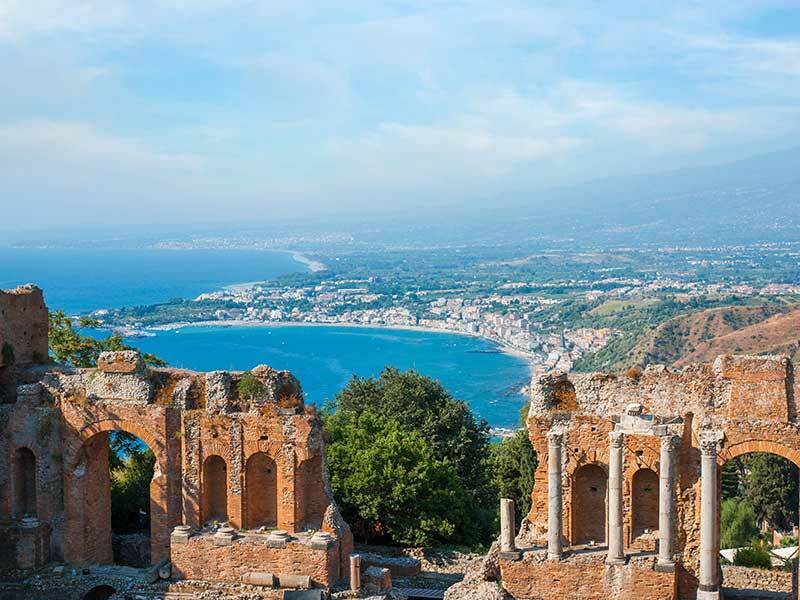 From family run trattorias to chic restaurants, Taormina is a veritable feast for the palate. Also not to be missed is the city of Agrigento. Venture into the old town where you will be able too see some of the most striking Greek ruins, including the Unesco-listed Valley of the Temples. 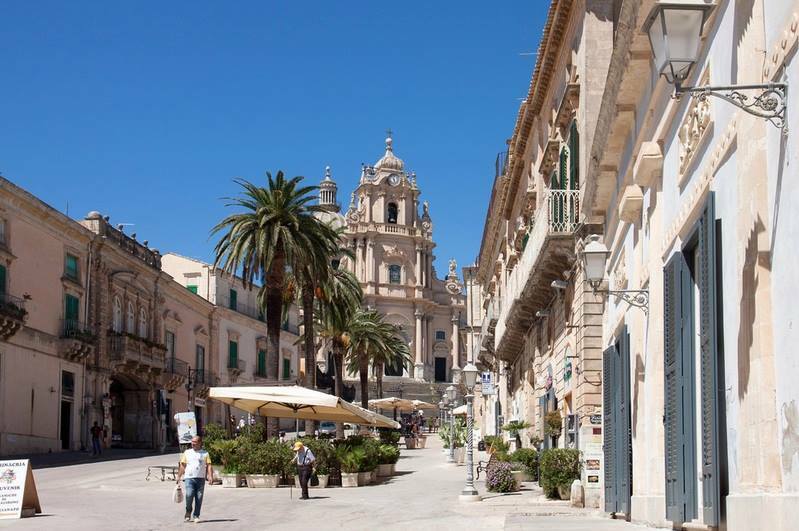 Noto, another UNESCO World Heritage site located in southern Sicily, and famous for its Baroque architecture is also worth a trip. Erice on the west coast is a walled town perched on top of Mount Erice with sweeping views over the city of Trapani. It boasts Greek, Phoenician, Saracen and Norman architecture and ruins, boasts two ancient castles and remains of the temple of Venus. The small island of Ustica is nothing short of idyllic. It not only boasts ancient culture and ruins, such as Greek and Phoenician but it’s the ideal location to explore the coastline and enjoy water sports. Sunsail charter yachts from Palermo (http://www.sunsail.co.uk/yacht-charter/destinations/mediterranean/italy/palermo). 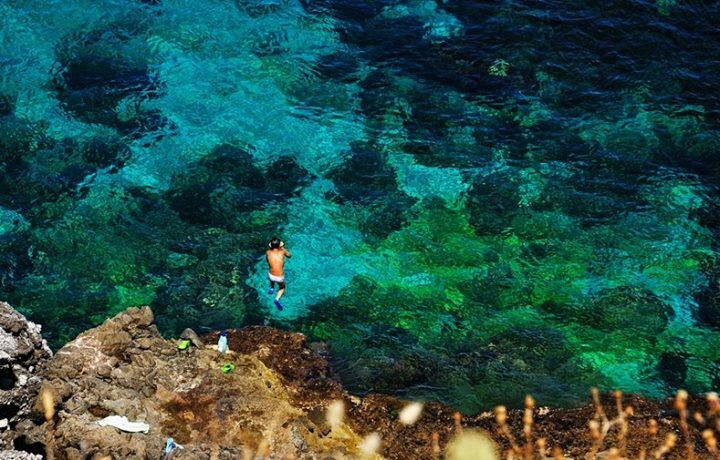 In the Strait of Sicily you’ll find another little jewel: the island of Pantelleria. Rich in archeological artefacts that are 35,000 years old and beautiful beaches and blue sea, this volcanic island also boasts hots springs, mud baths and natural hot saunas. It also has a natural reserve and a lake called Specchio di Venere, which rain and hot springs formed naturally in a volcanic crater. Sicilian cuisine is second to none, thanks to its variety of local produce and the passion of the Sicilians in the kitchen. Whether you love fish, bread, cheese, primi piatti such as pasta, vegetables or you have a sweet tooth, you will find the most delicious food here. A famous dish is pasta alla Norma, with fried aubergines, tomatoes and ricotta, a cheese Sicilians are proud of and use in sweet and savoury recipes alike. 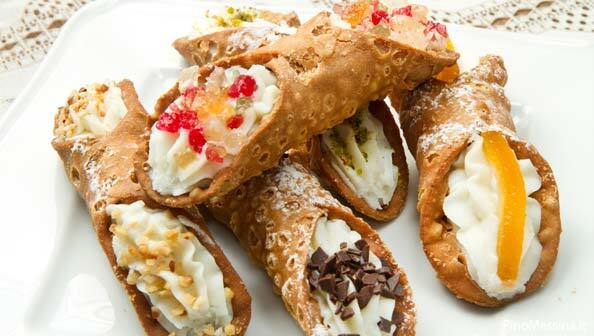 Famous cakes and puddings include cannoli siciliani, a sweet rolled up thin pastry filled with sweet ricotta and candied fruit, granita and almond cake. Local wines are also renowned around the world.